archaeologist that has stumbled on a tomb of treasures. seems to hold up the ceiling of the museum itself. compelled to grab the toe. slightly bigger than real-life size, have been recreated from ruins and pieces. no other in the museum, and lives up to its moniker as the Royal Mummy Rooms. giving information on suspected cause of death and age based on DNA testing. but it’s a very novel display. his pendants, sceptres or even headrests is just as measured and equally breathtaking. The museum is open every day from 9AM to 6.45PM. 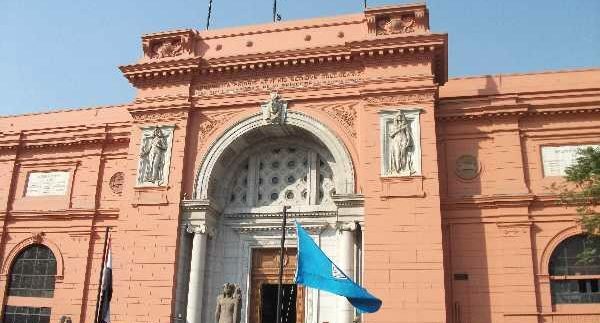 Entrance fees cost 2LE for Egyptians and 40LE for foreigners. Entrance to the Royal Mummy Rooms will set you back an extra 10LE as an Egyptian and a steep 70LE for foreigners; but it is undoubtedly worth it. There’s a suitably demure gift shop by the entrance, but you are more likely to find better prices outside the grounds around Tahrir Square. A massive collection of intriguing Pharaonic artefacts. Unfortunately, it seems that the museum itself does little to help you along the way here: too many of the labels are outdated, while some displays have no labels whatsoever. So without a guide leading the way; you are at your own device.